PIVOT AVG MG ZR. Pièce :PIVOT AVG. Modèle :ZR. Nous vous répondrons dans les plus brefs délais ! Celles-ci peuvent-être dénaturées par les prises de vues. PIVOT AVD MG ZR. Pièce :PIVOT AVD. Modèle :ZR. Nous vous répondrons dans les plus brefs délais ! Celles-ci peuvent-être dénaturées par les prises de vues. MGF / MG TF MODELS. 1.6 / 1.8 INC VVC MANUAL TRANSMISSION ONLY. We have hundreds NEW, USED AND REFURBISHED parts ready for dispatch. DRIVE SHAFT OIL SEAL PASSENGER SIDE. SUN – CLOSED. We take great pride in what we do and all parts are cleaned prior to dispatch. R ef QH: QG1050. Micra 1.0 et 1.2 (K10) 82->92. 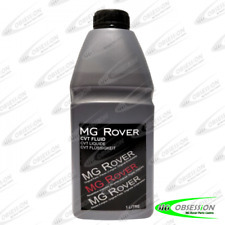 MG ROVER CVT OIL 1LTR. We have hundreds NEW, USED AND REFURBISHED parts ready for dispatch. SUITABLE FOR MANY APPLICATIONS ACROSS THE K SERIES AUTOMATIC RANGE INC. OPENING HOURS. Dispatch is within. MG Rover Part Number TGM10011. Rover 200 Coupe 400 Tourer With CVT Automatic Gearbox. MG Rover 25 1.6i 1.8i With CVT Automatic Gearbox. MG Rover 45 1.8i 1.8 With CVT Automatic Gearbox. THEY WILL FIT ALL MGB'S FROM 1967 TO 1980. WE ARE THE MGB HIVE LTD. THE MGB HIVE. FIND US ON THE INTER WEBB. Manufacturer Part Number RBK000100. Il s’agit de la Upper & Lower suspension avant à bras rotule fixée pour tous les modèles de MGTF. Comprend RBK000101 haut x 2 Genuine MG Rover en boîte. Avant supérieur Ball Joint adapté aux deux côtés, les inférieures sont face. PART NUMBER: AHA7374. Specialising in Austin-Healey, Classic Mini, Jaguar, Mazda MX-5, MG, Morris & Triumph. All our centre lock wheel spinners are made from the highest quality materials and are precision engineered to ensure an accurate fit. Morris Minor 1098cc. (1098cc only- Not for earlier models). MG Midget Mk2 1098cc. Austin Healey Sprite 1098cc. (Sep 1962 - Apr 1971). (Oct 1962 - Oct 1966). I can do much more on the phone. Here's a newClutch Kit for the following models. Equivalent to MG Rover Part Number TGK10014EVA. Rover 200 Coupe 400 Tourer With CVT Automatic Gearbox. MG Rover 25 1.6i 1.8i With CVT Automatic Gearbox. MG Rover 45 1.8i 1.8 With CVT Automatic Gearbox. PART NUMBER: AHA7373. Specialising in Austin-Healey, Classic Mini, Jaguar, Mazda MX-5, MG, Morris & Triumph. All our centre lock wheel spinners are made from the highest quality materials and are precision engineered to ensure an accurate fit. MG Rover Part Number TLF10002 x 2. Rover 200 Coupe 400 Tourer With CVT Automatic Gearbox. MG Rover 25 1.6i 1.8i With CVT Automatic Gearbox. We have hundreds NEW, USED AND REFURBISHED parts ready for dispatch. 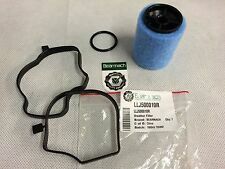 MG ROVER CVT OIL FILTER. SUITABLE FOR MANY APPLICATIONS ACROSS THE K SERIES AUTOMATIC RANGE INC. We take great pride in what we do and all parts are cleaned prior to dispatch. UNL000010 small lower bush. UNL000020 large upper bush. TSE000010 release arm spirol pin. 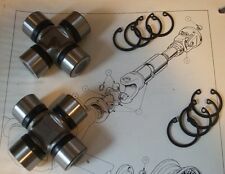 IB5 Transmission Clutch release arm fork shaft plastic bushes and release arm roll pin overhaul kit. For the 2003 MG ZS 1.4 & 1.6 series of cars from VIN 618246 onwards fitted with Getrag IB5 Transmission. THEY ARE SUITABLE FOR BOTH OVER DRIVE AND NON OVERDRIVE GEARBOX'S. WE ARE THE MGB HIVE LTD. THE MGB HIVE. FIND US ON THE INTER WEBB. SAE Viscosity: 75W80. Gear boxes are a vital and heavily used component of a manual vehicle. You should replace the gear oil at the regular intervals which are set by the manufacture and Comma has created a range of products simply for this. N° de pièce : DMC100380. Ce est une véritable partie emballé MG Rover. Manufacturer MG. BT, IM, TR21-25, PO30-41, AB30-38, AB44-56, FK17-99, G83, IV1-28, 39-IV30, IV52-54, IV63, KW1-14, PA21-33, PA34-40, PH18-26, PH30, PH31-41, PH49-50. MG Midget / Morris Minor 1098 / 1275 réducteur portant révision Rebuild Kit de réparation. Basée sur la transmission de boite manuelle 4 vitesses ce point s’adapte les modèles et le fabricant de voiture suivants : MG MIDGET - MK1 (1961-1962) /MK2 (1963-1966) /MK3 1275CC (1967-1974). Manufacturer Part Number WTB101031. Il s’agit d’un tout nouveau véritable filtre à charbon actif pour modèles MGF & TF. Version d’essai gratuite ! MGA 1500, 1600 ; YEARS 1955-1962 (NOT TWIN CAM). MGB, MGB-GT ; YEARS 1962-1980. MG MIDGET MkIII (1275cc) ; YEARS 1966-1974. MGB-GT V8 ; YEARS 1973-1976. PART NUMBER: ACH8304. Specialising in Austin-Healey, Classic Mini, Jaguar, Mazda MX-5, MG, Morris & Triumph. Manufacturer Part Number RGG001219EVA. Ce est une véritable partie emballé MG Rover. Véritable numéro de pièce de MG Rover. MG Metro 6r4 Works/JKD SYNCHRO Gearbox 1st/rev Sélecteur Fourche. The parts will fit any Works synchro gear box, a good spare maybe. For those owners who like to use there cars. If your gear box is selecting poorly on a gear you may need one of these. ARG gears have weak teeth resulting in a short life. Convient pour Rover 75 MG ZT ZTT CDT CDTI. Composants Véritable Bearmach Haute Qualité. connue partout dans le monde pour les pièces de haute qualité. IT IS SUITABLE FOR BOTH OVER DRIVE AND NON OVERDRIVE GEARBOX'S. also fits all MGC. WE ARE THE MGB HIVE LTD. THE MGB HIVE. FIND US ON THE INTER WEBB. Numéros de pièces DSF101340PMA & DSF101350PMA. Reference OE/OEM Number DSF101350PMA. Reference OE/OEM Number DSF101340PMA. Ce est une véritable partie emballé MG Rover. Les deux côtés sont incluses et véritable regorgent pièces de MG Rover. Austin Healey Sprite 1275 cc 1967 - 1974. MG Midget 1275 cc 1967 - 1974. NEW REVERSE SWITCH. 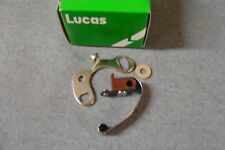 This is a Genuine Lucas switch Part number: 35868. MG Rover Part Number RRV100012. 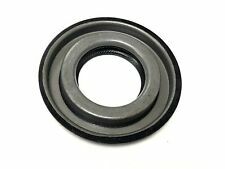 New MG Rover / BMW 75 ZT Early Type Wheel Lock Locking Wheel Bolt / Nut Removal Adaptor / Key / Tool. MG Rover ZT ZT-T ZTT 1.8i 2.5i V6 2.0 CDti 120 160 180. MG Rover 75 1.8i 2.0i 2.5i V6 2.0 CDti CDt. S’adapte à tous les IB5 5 vitesses boîte de vitesses. MG ZR / Rover 25 45 (IB5) boîte de vitesses 3 partie 1/2 bague de Synchro. Fits All IB5 5 speed gearbox transmissions. The item contents consist of 1x MG MG ZR IB5 Gearbox 3 Part 1st/2nd Gear Synchro Ring. 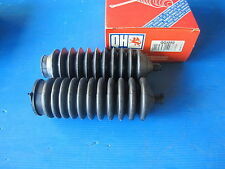 MG Rover Part Number UHB100170. Rover 200 Coupe 400 Tourer With CVT Automatic Gearbox. MG Rover 25 1.6i 1.8i With CVT Automatic Gearbox. MG Rover 45 1.8i 1.8 With CVT Automatic Gearbox. Rover 200 216 218 With CVT Automatic Gearbox. Faltenbalgsatz, Antriebswelle SPIDAN. Material : Thermoplast. Höhe [mm] : 122. 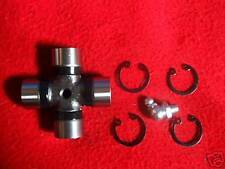 MG Midget / Morris Minor 1098 / 1275 Gearbox Synchro Baulking Ring Set. 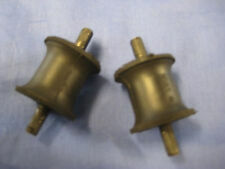 The item contents consist of 4x MG Midget 1098 / 1275 Gearbox Synchro Baulking Ring. MG Midget / Morris Minor 1098 / 1275 boîte de vitesses Synchro gênant Ring Set. MG ZR / Rover 25 45 (IB5) boîte de vitesses 2 pièce 3 rd Gear Synchro Ring. MG ZR / Rover 25 45 (IB5) Gearbox 2 Part 3rd Gear Synchro Ring. The item contents consist of 1x Rover 25 / 45 IB5 Gearbox 2 Part 3rd Gear Synchro Ring. S’adapte à tous les IB5 5 vitesses boîte de vitesses. MG ZR / Rover 25 45 (IB5) boîte de vitesses 1er/2nd Selector Fork. Fits All IB5 5 speed gearbox transmissions. MG ZR / Rover 25 45 (IB5) Gearbox 1st/2nd Selector Fork. S’adapte à tous les IB5 5 vitesses boîte de vitesses. Fits All IB5 5 speed gearbox transmissions. MG ZR / Rover 25 45 (IB5) Gearbox Bearing Rebuild Overhaul Kit. The product featured is a overhaul rebuild and repair kit for the MG ZR IB5 Gearbox. MIDGET MG 1500 ; ANNÉES 1974-1979. Le kit est fourni en quantité suffisante pour remplir un wagon. Part number DAM9246. Genuine MG ZR ZS Rover 25 45. MG Rover Part Number UBH000270. MGRover 75 MG ZT ZTT ZT-T MGZT MGZT-T With BMW 2.0 Diesel engined cars ( 2.0 CDti CDt i. ) From 2001 and Chassis / VIN Number 234499 onwards. Rare New Genuine MG Rover 75 MG ZT ZTT 2.0 Diesel Auto / Automatic Gearbox / Transmission Oil Cooler Hose Pipe Assembly.